Once dominating the smartphone industry, Apple may have to watch their backs this year with more and more smartphone models being designed. Android in particular are coming close up behind iPhones and prove to be worthy competitors. This year, they passed Apple in terms of market share due to collaborations with Motorola and HTC Corp.
Consumers want a device that is lightweight, practical, can be easily carried around and features all of their well-loved applications, which paves the way for improvements within the smartphone industry. In recent news, Google announced the Android L which will be launched later this year, featuring a completely redesigned UI, improved security, performance, battery management, integration with Chromebooks and a whole host of other features. Their next move boasts cheaper smartphones, under $100 and data plans to encourage more people to use their models. In conjunction with The Mobile World Congress show in February, we’ve highlighted some other exciting key trends mobile users can look forward to over the next 12months. Making internet access available to two-thirds of the world not yet connected was a major theme addressed by Mark Zuckerberg during the technology convention. Internet.org explained their hopes to provide basic web services (news, weather reports, messaging) as a way to educate and inform people globally. Mozilla is even working towards affordable smartphones to sell predominantly in India worth just $25, running Firefox OS, with Wi-Fi, Bluetooth, camera, and even access to HTML5 apps. Phone screens are predicted to grow in size, with 5-inch screens becoming normality for smart phones. Tracking company Context claims there has been a dramatic rise in the number and proportion of smartphones with screens measuring 4.9in or above, compared to the iPhone 4 and 4S, which measure 3.5in, and the iPhone 5, 5C and 5S, which measure 4in. Though they may be arguably inconvenient and bulky, they can provide a better entertainment experience when watching videos, interacting via Skype, taking photos and playing games. Bigger smartphones bring with it bigger batteries and an enhanced screen quality. We can’t get enough of them. Photo editing booths, game rooms, barcode scanners, fitness trackers and so much more. Apps have grown from time-killers to life-planners since its birth in 2010 and most people use them in their day-to-day lives. 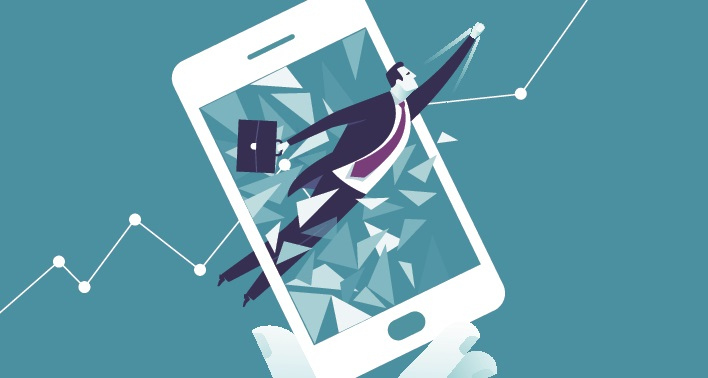 Smartphone apps are looking to go more corporate to assist business sales amongst employees, track progress, set up client meetings and check-out customers without being stuck to your desk. The developments so far this year have fuelled predictions of even bigger sale increases due to online shopping. Acting as a wireless wallet, purchasing on the move via apps such as barcode scanners, digital grocery coupons and price-comparison searches is aiding shoppers like never before. Data privacy, ultra HD 4k video viewing, wearable accessories and improved online video streaming are just some of the anticipated developments in technology today. Verizon Communications Inc. believe that by the middle of the decade, smartphones will account for three out of four mobile phones – and they may be on to something.